The needs of commercial and government customers for robust energy storage solutions are many and varied. From forestry equipment to trucking, to augmentation of generators to reduce fuel consumption, customers are in a never-yielding search for better battery solutions. 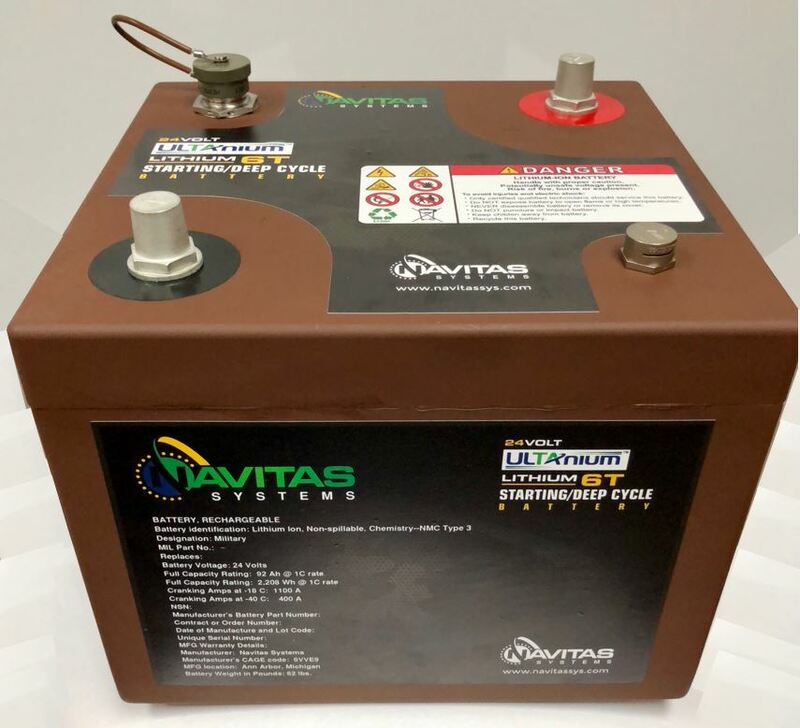 Navitas’ new 24 volt “UltaniumTM 6T” Heavy Duty Off-Road battery is our first of a family of drop-in lithium-ion lead acid replacement batteries. We invite you to download our data sheet to learn more about the many ways our battery’s performance puts it head-and-shoulders above classic lead acid batteries. Download the UltaniumTM 6T data sheet here.